For those of you who have a bit of time on your hands this summer, and want to explore some applications, here’s my “Apps-I-Use-Everyday List.” Let me know what you think, or if you have an alternative app that you think is better. 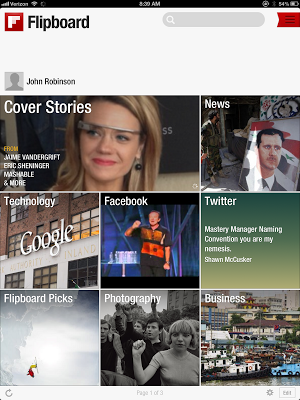 Evernote: Evernote is one of those applications I access at the start of every single day. I use it for so many activities during the course of the day---from logging events to drafting quick notes to meeting notes. It’s ability to sync across all devices still makes it one of the most versatile working environments for me as an administrator. Add my favorite Evernote mobile apps---vJournal, Penultimate, Skitch---and this application's functionality expands enormously. With this application, you are constantly surprised with what you can do. For more information on Evernote and all its apps: https://evernote.com/. I just couldn’t leave out my two favorite entertainment apps. Each of these applications have enough features and capabilities to keep anyone exploring and experimenting for an entire summer. Happy explorations! Blockbuster, Borders, and Circuit City are examples of companies that failed to be “nimble enough” to rethink how they do business in the face of change around them. Each of these companies withered and died because they did not change and adapt while they still had the resources and strength to do so. Now public schools are in similar circumstances, and they might not have what it takes to survive. In the end, Blockbuster did not see and react fast enough to streaming video. It failed to see the revolution in a new way to deliver video to customers because its leaders were perhaps not open to new ideas and new approaches to video delivery. Borders failed to respond in a timely manner to the reality of e-readers and e-books brought on by Amazon and Barnes and Noble. Perhaps their leaders still saw a bookstore in a physical location as the primary way people can and will purchase books. Circuit City failed to see, first of all, the "electronics superstore” model brought forth by Best Buy, and secondly, the inroads of online electronic retailers such as Amazon in their retail business. Perhaps their leadership failed to be open to new ideas on how to sell electronics to customers. Each of these businesses failed, not because they couldn't do what they had been doing well, but because leadership was shortsighted. Their leaders were not open to new ideas and novel approaches to do business until it was too late. Today, I fear that too many school leaders and their schools are following the path these business leaders and their companies trod. These school leaders are not open to new ideas and new approaches to teaching and learning. They still see standardization, testing, textbooks, and traditional schooling as the only means to educate all students, so they spend inordinate amounts of time and effort perfecting and trying to make these work. They are not open to entirely new ideas and novel approaches to teaching and learning, unless those new ideas of teaching and learning only allow their schools to continue operate as they always have. Then, they scratch their heads because too many of our kids still fail, drop out, or graduate unable to be productive. What they need is a mind that is open to the new and novel that will allow them see the things that could revolutionize teaching and learning. What can school leaders do right now to demonstrate what Goleman calls the competence of "innovation" or the ability to be open to the novel and new? How can they demonstrate they are open and actively seeking new ideas and novel approaches to education? Borrowing from Goleman, here's 4 things school leaders can do to open up to innovation. “Seek out fresh ideas from a wide variety of sources.” In the information age this should not be a problem for school leaders. Fresh ideas and new sources of information are just a “Tweet” away for those school leaders willing to wade into social media. RSS feeds and RSS readers can help with the gathering of potential resources and ideas, and web tools like Diigo, Evernote, and Pocket can help with archiving and sharing. Finally, there are explosions of print materials available too. 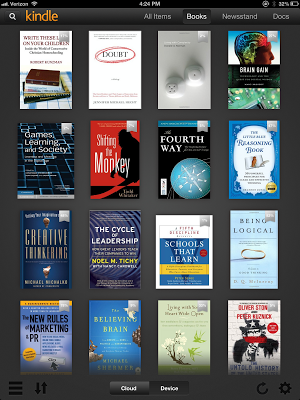 Personally, for me, the Kindle and Nook apps on my iPad make it possible for me to carry around 20 to 50 books and resources at one time, so that I can engage in a quick read at a moment's notice. If 21st century school leaders want to be open to innovation, they must seek out new ideas and resources wherever they can find them. “Entertain original solutions to problems.” In public schools, there’s still too much of “We've gotta do it this way because we've always done it this way.” Try to change something radically, and you are immediately put in your place with, "You can't do that." As 21st century school leaders we need to look for original, out-of-the-box solutions to our problems, instead of doing the same old kinds of things and hoping things turn out different. We see so little innovation in schools or districts often because no one looks for original solutions; they revamp and tweak old solutions. They either do what they always have done, or they do what everyone else is doing, both of which do not work. If 21st century school leaders want to be open to innovation, they must be alert and willing to engage in original solutions to the problems their schools or districts face. “Generate new ideas.” Twenty-first century school leaders need to purposefully find ways to generate new ideas. They can turn their schools into incubators of innovation by engaging staff, and themselves, in techniques and tools that foster original thinking and ideas. They can create a culture where “no-idea-is-too-dumb" and original thinking is welcomed. If 21st century school leaders want to foster original thinking and new ideas, they need to demand and accept originality, unconventionality, and non-conformity as a rule. “Take fresh perspectives and risks in their thinking.” School leaders who want to be open to innovation have to stop seeing education through the eyes of bureaucrats and policymakers and see education through the eyes of teachers, students and their parents. They need to do whatever is necessary to see teaching, learning, and schooling with the eyes of those engaged in those activities. And to take risks in thinking, they need to be willing to try things that no one else is trying and need to stop being risk-averse. If 21st century school leaders want to be open to innovation, they must view teaching and learning through new perspectives and be willing to take risks, and encourage others to do so as well. If our public schools are ever going to be nimble enough to survive the massive changes occurring around them, they are going to need both school leaders and teachers willing to be open to “novel ideas and approaches” instead of simply trying to preserve things the way they are. “The real role of leadership in education is not and should not be command and control. The real role of leadership is climate control; creating a climate of possibility, and if you do that, people will rise to it and achieve things you did not anticipate and couldn't have expected.” Sir Ken Robinson, TED Talk "How to Escape Education's Death Valley"
What is ultimately wrong with No Child Left Behind, Race to the Top, and the Common Core State Standards? Each of these initiatives are a product of what Sir Ken Robinson calls mechanistic thinking. In mechanistic thinking, education is seen as an “industrial process” done to kids. You subject kids to this process, and at the end, you test them, then declare (or not declare) them college and career ready, educated, or whatever term you choose. As Robinson points out in his TED Talk "How to Escape Education's Death Valley," subjecting kids to these kinds initiatives and the standardization movement means millions of children have been left behind. Why are so many children left behind in the current American system of education? The whole problem, according to Robinson, is simple: American education "contradicts 3 principles under which human life flourishes." These principles are: 1) Human beings are naturally different and diverse, 2) Human beings are naturally curious creatures, and 3) Human life is inherently creative. By contradicting these principles, we are losing students because the American system of education ignores the very things that allow humans to thrive and survive. 1. We can treat students as different and diverse, not as standardized unfinished products to which we "add value" through subjecting them to the same curriculum and the same tests. Education under No Child Left Behind, Race to the Top, and the Common Core is all about conformity and standardization, not diversity. Each of the initiatives is about narrowing the curriculum so that we can test kids the same way, compare their scores, and boast or censure what we have done educationally. Instead of moving more and more toward standardization, we need to be moving to personalization. Under a personalized education system we capitalize on students' natural talents and abilities, not stifle them with standard curriculum and standardized testing. As 21st century school leaders we need to focus not on data entirely, but more on individual students. Drop out rates, proficiency rates, growth rates are not the center of what we should be doing as educators. Kids are. 2. We can recognize that human beings are naturally curious creatures, and create systems of education that value curiosity above all else. As Robinson points out, “Curiosity is the engine of achievement.” Yet in our efforts to treat our education system mechanistically, we stamp our curiosity with standardized curriculum and standardized testing. We treat “teaching” as a delivery system, when it should be treated as the "art of mentally stimulating, provoking, and engaging children in learning." Robinson points out that the dominate culture in American education does not focus on teaching and learning, it focuses on testing. We have turned our schools into places where the culture is about compliance, not curiosity. As 21st century school leaders we need to make human curiosity central to our school cultures, not compliance. 3. We can recognize in our schools that human beings are inherently creative and turn them into places where creativity is valued. We spend our whole lives creating; it is a part of who we are as humans. Our role as educators should be to awaken this creativity and power it up, instead, we are too busy standardizing everything and stifling creativity. Our students should be engaged creatively, not engaged in test prep and testing at the expense of all else. As 21st century school leaders we need to create a school culture that values creativity above standardization and conformity. As long as policymakers at the national level, state level, and the district level continue to see education as this mechanistic, industrial process that is “done to kids” we're going to continue to have an education system that fails a large number of students. Changing our tests and our standards every few years is not going to create a climate of possibility and creativity in our schools. It only perpetuates the mechanistic system of education that has failed many of our kids for over a hundred years. After being an administrator at a “public school of choice” I can’t help but wonder: “What if we ran our schools as if our parents could choose to remove their children tomorrow if they felt we were delivering the education they wanted for their children? How would we choose to operate? How would this affect policy implementation? How would we change our decisions and decision-making processes? While I am certainly not convinced that “school choice” or vouchers are the salvation of public education, but there is one thing inherent in the idea of choice that I think warrants consideration. That idea is that schools, when facing competition, are forced to be more responsive to student and parent needs. Public schools in our country are massive bureaucratic institutions that are too often unresponsive to student and parent needs, and more interested in preserving and promoting themselves and the status quo. For example, how many times as school leaders are we forced to use the justification, "Well, it's just board policy." Or, "It's state regulations?" I sympathize with parents who do not feel that their public schools are meeting the needs of their kids. Whether or not their claims are true, it is still their perception. Many decisions are made, from the legislative level to the classroom, for all kinds of reasons. And, if one questions those decisions, the reaction is "How dare you question my motives!" but the reality is, as educators and school leaders, we should be hyper-vigilant and willing to question all decisions. Decisions that can't be entirely justified to be in the best interests of kids, should be questioned vehemently. As 21st century school leaders we must be willing to scrutinize decisions that are made and be willing to express our opinions when we do not feel those decisions are being made in the interests of our students. It's too bad public schools can't adopt a customer service model in their approach to educating kids. While schools are not businesses, nor should they be considered so, the disposition of approaching our kids and parents as if what they need and want matter is what I call having a "responsive mindset." Schools with this responsive mindset approach school with a disposition that says, "What if my parents could pull their students out of my school immediately? How would that affect how I make decisions and deliver education to the students in my building?" For all the reasons and arguments others have made, I realize treating our kids and their parents as “customers” in the business sense is not totally adequate. Still, public schools do owe students and their parents to be responsive. Perhaps if school leaders acted with responsiveness there would be fewer people who advocate for vouchers in the first place. What would some of these responsive mindset behaviors look like? Here's three that come to mind. As school leaders, we never say we are doing something simply because policy says so. While we need policy to guide us, policy should never be something to hide behind. If what we are doing can’t be argued to be in the best interest of kids, perhaps we should not do it period. Arguing that we do it because policy or the law says so makes us look like that policy or law is more important than the child. Being a responsive school leader means always making decisions for the good of kids, not because it is written down in some policy manual. It also means making sure we can meticulously explain our actions and decisions in, not hide behind the law. As school leaders, we should make every effort to make the rationale for what we are doing clear to our kids and their parents. Most parents, if we take the time to explain, can understand why we do what we do. They still might not agree, but we must give them the opportunity to have their say. When we make decisions that affect the lives of their kids, we must always keep in mind, even parents who struggle, most often want the best education they can get for their kids. Being a responsive school leader means taking whatever amount of time it takes to explain our decisions, allowing parents the opportunity to explain their disagreement, and being willing to change our decisions if our parents make a good argument for changing our decisions. There's no room for ego in the process for doing what's right for kids. As school leaders, we should make decisions as if all our parents could pull their kids out of our schools tomorrow if they so desired. Making decisions in this manner, makes us responsive when it comes to providing an education to kids. If our parents could simply go elsewhere to get an education for their kids, we would perhaps scrutinize our decisions as school leaders a bit more carefully. In a district or school that operates with a responsive mindset, every decision is viewed through a lens of its impact for all kids and for individual kids, and care is given not to delude oneself into thinking that what's being done is best for kids when it clearly is not. I would hope we would never sacrifice a single student for the good of all students, hence arguing that the needs of many outweigh needs of the few, or one, does not give us an excuse to harm the few or one at the expense of the many. Being a responsive school leader means always examining the impact of a decision on every single student. As school leaders, we can personalize education for all kids by adopting a responsive mindset that truly places students at the center of what we do. As Randy Pausch suggests, engineering isn't about "looking for the one right answer or perfect solution." Engineering is about looking for solutions that work. While our policymakers and politicians talk incessantly about the need for more engineers and scientists, they advocate for a system of education of standardization and accountability that is in some ways direct contradiction to the kinds of tasks and thinking engineers and scientists do. With classrooms that are bleak and where test scores dictate every move, it is no wonder our schools are rapidly becoming places where no one wants to be. Why can't we reduce a drop out rate that seems to stubbornly persist no matter what we do? Why do our students stare at us with blank expressions from their uniform rows of desks? Why are our so many of our students so disengaged from school and see it the last place they want to be? It is because our schools have become prisons of standardization where creativity and inventiveness are sacrificed for conformity. It is because of an emphasis on comparing student test scores for the purpose of determining school effectiveness and teacher/principal effectiveness which fosters more test-prep and teaching to the test. These reforms dictated through NCLB and Race to the Top have made our schools “places devoid of play, rich materials and time to do projects” as Martinez and Stager describe it. That's why no one wants to be there. What is our alternative? How can we create classrooms and schools where learning is the focus again, not just test scores? How can we make our schools into places where our kids want to be and want to learn? How can we have schools that encourage the kinds of tasks and thinking engineers and scientists do? The answer lies in turning our schools into places where students can “make, tinker, engineer” to use the terms of Martinez and Stager. But what would a classroom that emphasizes “making, tinkering, and engineering” look like? Martinez and Stager will no doubt answer that question in their book, but I suspect that some of the characteristics of such a classroom would be like the following. Structured for exploration: The physical space would not be structured with a teacher’s desk or podium-presentation equipment at the center. Instead, space would be structured for collaboration, for individual learning, and for student-centered learning activity. A variety of high-tech and low-tech materials and equipment would be available for making, tinkering and inventing. Structured for risk-taking: The classroom is purposely designed to allow students to take risks in learning and in trying new ideas. Mistakes are allowed and actually encouraged. Experimentation is the rule, not conformity. Structured for inquiry: Students asking their own questions rather than answering predetermined questions provided by a teacher is the norm for classrooms structured for inquiry. Students pose the questions and their learning comes from the exploration and search for answers to those questions. Structured for students: The classroom would be structured for students, not teachers, not principals, not policymakers and not politicians. Too much of what we currently do in the classroom is done to satisfy politicians with agendas and leaders with egos. Classrooms structured for students exist for student learning and places them at the center. One can perhaps argue whether our schools are going through “dark times” as Martinez and Stager suggest. It probably depends on your perspective of standardization and testing. But, it is difficult to deny that some aspects of our standardization-accountability movement are turning schools into places where creativity and invention are devalued in favor of conformity and test-prep, and those who continue to push for more testing and more standardized curriculum need to be aware of what they may be trading in to obtain those things. Having presence of mind in the midst of crisis and trouble is vital to leaders whether inside or outside education. To understand how vital, we only need look backward to great leaders who demonstrated great presence of mind in the midst of calamity and trial. From George Washington to Winston Churchill to Mahatma Gandhi, we have countless examples of individuals who demonstrated this powerful presence of mind necessary for successful leadership. Maria Gonzales, author of Mindful Leadership: The 9 Ways of Self-Awareness, Transforming Yourself, and Inspiring Others, offers leaders A List of "Abilities of Mind" important for successful leadership development. Taking her list and applying specifically to educational leadership, can bring both authenticity and presence to our school and district leadership positions and with it the success we desire for ourselves and our organizations. These abilities include the following. 1. The ability to calm yourself in the face of stress or difficult decisions. If you have been in educational leadership very long, you know difficult decisions are common-place. The situations requiring these kinds of decisions come at multiple times of day, and being able to project presence of mind to those around us is vital to success. We must have the ability to self-calm in the face of adversity and often emotionally charged situations. If we project anger in a tense situation with a parent or student, escalation of conflict will naturally result. If we act from panic, those around us panic. Effective school leadership demands that we are able to calm ourselves and then act with deliberateness and decisiveness. Acting from intense emotion or stress is interpreted by others as weakness, and educational leaders with the ability to calm themselves are seen as strong and worthy of followership. 2. The ability to understand what’s going on within yourself and how you perceive reality and the business reality. Being in touch with our "inner selves" is not some gimmicky, faddish suggestion only found in books on the self-help aisle at your local bookstore. It is truly an ability needed for successful leadership. Leaders who know what's going on inside themselves also understand that what's inside affects what is outside. They know it is impossible to entirely separate oneself inside from actions taken outside. Also, with this understanding educational leaders know that compartmentalization of our lives into within and without is impossible. In addition to understanding themselves inside, it is equally important for school leaders to be aware of their own perceptions of reality. Not only that, they understand that their perception of reality may be skewed and inaccurate. In addition, understanding that others have their perceptions too means being able to consider other perspectives for better decision-making. Skillful leadership begins by understanding yourself fully on the inside and understanding others too. 3. The ability to be present in the moment and clearly understand what you’re hearing or reading instead of being caught up in regretting or reliving the past of fearing and catastrophizing the future. School leadership requires being present in the moment because that is where everything is happening. While that sounds simplistic and most would consider it a given, in practice, many times school leaders are caught up in living in a past of regrets and glories rather than being in the moment. To be in the moment means reading and seeing what's happening now without judgment. It means letting go of the past. Being present means we are dealing with issues now, not fighting ghosts of the past. It also means engaging in leadership that focuses on now, not daydreaming of the future or dwelling on mistakes of the past. Leaders who demonstrate the ability to be fully present communicate to others that they are on the job and taking care of things. 4. The ability to imagine a life that is positive and fulfilling and to set in motion positive outcomes in your life and business. The ability to imagine life that is positive and fulfilling means being able to develop a vision for both our personal future and the future of our school or district. This ability means being able to imagine a successful personal life, and also imagine a school where all kids learn and all staff are compassionate and perform at a high level. It is from the perspective of vision and imagination that we set in motion action that makes positive outcomes happen. Imagining the positive future is a vital school leadership ability in an age where constant negativity about schools surrounds us. 5. The ability to know that all things pass and nothing is forever, whether it’s good or bad. The ability to know that all things are impermanent is a vital school leadership skill too. Impermanence means lots of things to leaders. It means our mistakes are OK. It means we don't have to keep replaying in our minds the bad decisions we've made in the past. It means we can take risks which is the currency of innovation. Knowing that all things pass means we can be assertive school leaders who can act creatively and innovatively in our positions. Our new reality in our schools and school districts requires a presence of mind more than any other in the history of public education. Forces surround us, some benevolent, who want to see public education blossom and grow, some malevolent, who want to see public education dismantled and cast aside. In the midst of these forces, along with the rapid changes in society, policy and global connectivity, school leaders need “presence of mind” more than ever. Gonzalez’s List of Abilities of Mind can bring that presence and make us successful school leaders in a sea of change. Tis the season, or almost the season, for schools to begin that process of “examining data, pondering goals, and discussing improvement” all in the service of our now established ritual of “School Improvement Planning.” It has become a religious ritual, with school leaders serving as the high priest, or priestess of improvement, hammering out details of plans on how to improve their school or district. But in all this improvement planning, we sometimes forget important things we know are inherent about planning in general and school improvement planning specifically. In our efforts to be thorough and “good little administrators” we make school improvement planning much more complex than it should be, and we lose sight of what is important. Now, I am certainly not advocating the idea of proverbially flying by the seats of our pants when it comes to leading schools or districts. We know plans are important. But as we move into this Season of SIP, let’s keep some important principles of school improvement and common sense in mind. 1. Keep it simple. Sometimes in our zeal to plan for improvement, we make the school improvement planning process too complicated. For example, if it takes a masters degree to figure out how to complete your school improvement template, then that’s a problem. We should take a lesson from Apple with our school improvement plans. According to Ken Segall, “Everyone of Apple’s revolutions was born of the company’s devotion to Simplicity. Each new device created a new category or turned an existing category on its head---all because, as an old iMac ad put it, the technology was “simply amazing, and amazingly simple.” We can have school improvement plans and planning processes that are simple too. When anyone, educator or non-educator, looks at our plans, they should be “simply amazing, and amazingly simple” not some document no one reads because it is too complicated and needs interpretation. 2. You don’t have to wait to include it in your school improvement plan to improve it. I have actually been in schools and districts that refused to take on new initiatives simply because “it was not in their plan.” How’s that for being majorly short-sighted? Sometimes the best improvement ideas and improvements are those that come to us in the middle of the night, and if we wait until we can get it “into the school improvement plan” opportunities disappear. School improvement must be nimble and responsive, but when our school improvement processes become ponderous and rigid, how can we expect to be able to engage in any lasting and significant improvement? We need to be willing to sometimes “Make it so” to use the words of one of my Star Trek heroes. 3. Improvement can begin with the smallest things first. Schools become dysfunctional often due to a large number of small things that build up over time. Cultures get sick because of the small things that get neglected. If you really want to engage in school or district improvement, look to the small things first. While it might seem insignificant to you, I can bet the coffee you buy means something to someone. The lack of a pleasant greeting impacts someone when they walk into the building. We are sometimes blinded in our thinking by seeing improvement as the “big things,” when very often, changing all the little things make the big things better. 4. Focus on making things better for kids, not raising test scores, attendance rates, graduation rates or lowering drop out rates, suspensions etc. When you focus on numbers you can lose sight that everyone of those data-points represents kids. Data is important of course, but we should not be data-centric. We should be kid-centric. This means when planning improvement, there might be things that would improve test scores or lower drop out rates, but still not be good for kids. When your leadership focuses on numbers instead of kids, well, you get people who play games with numbers. Hence, you get Georgia testing scandals, DC testing scandals. Behind every non-proficient score you have a kid, not an object that we can “add-value” to. 5. Improvement should be continuous, and it is not always relegated to what you have on paper. Those who have an “improvement mindset” know that improvement is not something done every two or four years. It is something engaged in every single moment of every day. If you want to improve your school, you can begin in your classroom, office, or hallway, and keep improving things everyday. 6. Improvement is much easier if your school community strongly believes in what you are doing. This is a no-brainer. All that talk and effort about “stakeholder buy-in” is unnecessary if your school community culture is powered by common belief and support for what you are trying to do. You get your school community to believe in what you are doing by attending to their desires, needs, etc. When that is not possible, you work extra hard to get them to understand why, and while they may not agree, they can accept what you’re doing. 7. If you have to work too hard to convince your school community to buy into your plans, then maybe there’s something wrong with your plans. One of the grandest obstacles to school improvement are egos. School leaders with enormous egos sometimes come into school communities with grandiose plans that are more about them than the people they serve. Perhaps if that plan you have requires an extensive PR campaign, it isn't what your school or district needs. Just maybe it's what you need more than your schools need. Knowing when to back off with your plans, especially when its more about your ego than school improvement, is a key leadership trait. If your school improvement planning and plans are made ponderous and difficult they do not have to be. These seven principles can guide your school or district to simplify and make your school improvement "simply amazing and amazingly simple." Name one person who always “triggers” strong emotion and anger in your life. If you are a district level leader, that person might be a board member or local politician. Or if you are a principal, it might be a parent, student, or even a teacher. If you’re a teacher, it might be one particular student or a colleague. In each of these cases, this individual usually knows and is highly skilled in knowing how to push your buttons and make you lose your cool. If relationships are truly important to us, we must learn how to effectively cope in these situations. Learning how to deal with these triggers is a powerful exercise in emotional intelligence, a test of character, and in being an effective educator. Stop: According to Meng, when you “feel triggered” you just stop. You pause without doing anything. This is the most important step because it allows you to engage in the other steps. As Meng points out, in Buddhism, this is called the “sacred pause." Breathe: In this step, focus the mind on the breath for a few minutes. Take several deep, conscious breaths, calming yourself. When your mind tries to slip back to the anger or strong emotion, redirect it back toward your breath. Notice: After focusing on the breath, then “notice” by closely examining the emotion. Look at what it feels like in your whole body. Notice how the emotion is affecting all parts of your body. The goal is to experience the emotion physiologically and not as something separate from your body. For example, as Meng suggests, your observation is not “I am angry” but “I experience anger in my body.” This is where you try to experience what the emotion is doing to you inside and out. Reflect: In this step, Meng says to ask the question, “Where is this emotion coming from?” Is it due something in my personal history? Is it due to some perceived personal inadequacy? This step is all about gaining a perspective of the emotion objectively from the outside. You put yourself in the other person’s shoes. You also remind yourself that all people just want to be happy and that this person is only acting this way because they perceive it will make them happy. This is important: bring perspective to your emotion without judging it right or wrong. Respond: In this step, you finally respond. As Meng points out, you first bring to mind ways in which you could respond that bring about a positive outcome in the situation. Imagine what a positive response would look like. You may or may not actually have to carry out that response. Just remember, the goal here is to defuse the trigger before you make a bad situation worse. SBNRR is a strategy, if practiced over time, breaks down our learned pattern of reacting to those strong emotional triggers, and installs a new, more effective way of responding. As we repeat this practice even with those strong emotional events that have occurred in the past, we begin to see that we can relearn how we respond to others in the most trying situations. What I personally like about the Siberian North Railroad Strategy is that it actually provides a specific way to respond in those situations when someone has triggered strong emotions. It is a powerful exercise in emotional intelligence that can give schools leaders, teachers, and even students a tool to use in the sometimes highly-charged emotional environment we call school. Leadership is very much about being able to deal with our own emotional triggers effectively, and this strategy gives us the means to do just that. 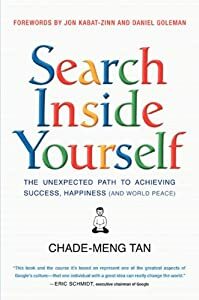 Note: Chade-Meng Tan's book Search Inside Yourself: The Unexpected Path to Achieving Success, Happiness (And World Peace) is based on a course in emotional intelligence taught at Google. You will find countless other strategies in this book for dealing with interpersonal and intrapersonal issues. Meng's straightforward, humorous style makes the book a pleasant read too. How many of you have had the rare opportunity to work with a leader that you would follow no matter where they led? I’m not referring to blind-followership. I am referring to following out of devotion because of who that leader is and what they are made of. Though I am sure many of us have had that pleasure, I can't help but ask myself now that I am in a leadership position, “What did that leader/manager possess that fostered this willingness to follow, not due to their super-ordinate position, but due to who they were?” I suspect one answer to that question is "Integrity." What is integrity? According to Lee and Lee, integrity is "acting for what is right." It is adhering to inner principles. It is simply "doing the right thing because it's the right thing to do." It is leading from the "moral center within." Lee and Lee, in their book Courage: The Backbone of Leadership, offer three acts of integrity. 1. Discerning right from wrong. Discerning right from wrong involves doing many things. It involves consulting others for advice or counsel, especially those who have demonstrated a level of wisdom greater than our own. These individuals can be experienced mentors; other experienced teachers, principals, superintendents, all offer us an opportunity to reflect with us about what is right and what is wrong. We all must have individuals to whom we can look for wise counsel. In our discerning right from wrong, we must also honor our conscience. Taking actions that conflict with our internal compasses are a clear sign that those actions are the wrong actions. By honoring our conscience, we also stay true to ourselves as well. Being able to look at yourself in the mirror each morning is important for us as school leaders. In addition to honoring our conscience, we also need to be mindful so that our own personal needs and biases are not the sole basis for our actions and decisions. Lee and Lee call this “putting ourselves on the stand.” We must scrutinize our own motives because acting out of pure selfishness can lead us to wrong actions. Those motives might be in congruence with the right decision, but should not be our basis for action. Being mindful of our own "agenda" means not choosing it over what's in the best interest of others. 2. Acting for what is right regardless of risk to self. This is especially difficult in a politically charged environment like school districts and school systems. How many times have we witnessed decisions made in schools that were clearly not in the best interest of kids, but more in the interest of the adults in the school or district? Like the business environment, personal agendas become the drivers of decisions made, often at the expense of “rightness” and standing up for what is right is not the most advantageous, politically correct thing to do. If we are truly leaders of integrity, we are going to let others know what we think the right decision should be. Even more so, we as leaders are never going to demand others make decisions that conflict with their sense of right and wrong. Leaders of integrity foster integrity in others. They allow those they lead to express their reservations and problems with decisions being made. They are also open to being convinced that they can make wrong decisions too. We are also going to do what is right, not what will get us the next promotion. True leaders expect nothing less of those they lead as well. If we want an environment that prizes integrity, then we must admire that in those that follow us. 3. Teaching others from that act of integrity. By our demonstrations of integrity, we communicate to those who follow us that integrity is important. Doing the right thing is the right thing to do and we expect it out of all those we lead. Lessons of integrity-failure abound in recent history. Enron, the financial meltdown that led to the Great Recession, and recent decisions made by our political leaders today are all examples of leadership decisions made without deference to integrity. In the end, to be a school leader of integrity means to courageously stand for what you believe to be right, and having the humility and courage to admit when you have been wrong, and expect no less from those we lead. 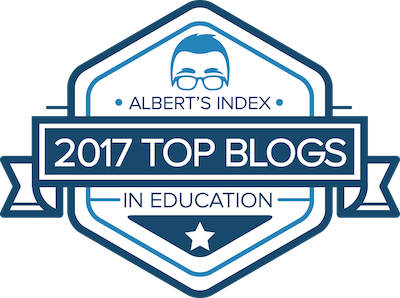 The field of education “focuses on initiatives targeting computer-to-student ratios and administration process automation, not learning processes or outcomes,” according to Alan Bain and Mark Weston, authors of The Learning Edge: What Technology Can Do to Educate All Children. Though we claim to focus on student achievement with our technology initiatives, that focus is more often on the “stuff” rather than on what we have students and teachers do or achieve with that “stuff.” It’s clear that one of the most useless statistics we keep is computer-to-student ratio. It’s deceptive to ourselves and the public and we know it. 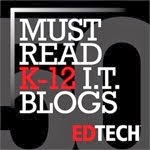 We know that just because every student has access to a computer does not mean students are accessing them to engage in meaningful learning, and we also know having 1:1 access does not necessarily mean the teacher is using the technology to engage in meaningful teaching. And, as far as administration automation software, just because our state’s fancily automated student data systems provides the slickest and most numerous data reports does not mean our students are learning any more than they normally would nor can we say teaching is better, or will get better. If we don’t focus on the quantity of computer our schools have and the elaborate software systems, what do we do need to focus on in order to capitalize on the true potential of technology for teaching and learning? Instead of focusing on computer-to-student ratios, let’s revolutionize teaching and learning. We should not be purchasing technology to help us do what we've always done in our schools and classrooms. Let’s employ technology to completely reinvent instruction. We know what we are currently doing in our classrooms does not work for all students, and to try to use technology to simply automate and facilitate current educational practice is inadequate. Technology’s true potential lies in how it can create new ways of teaching and learning. We need to capitalize on that potential. Instead of focusing on fancy administrative data systems, let’s keep them simple. When states try to create elaborate data systems, they often keep adding feature after feature. Underlying many of these systems is the whole idea that “You can’t have too much data” as an educator. But the opposite is actually true: it is possible to have too much data. Keeping these administrative data systems simple should be a priority. It’s a real problem when a teacher or administrator can’t run a simple student tardy report because the program is too complex. To keep this from happening, I would suggest that systems designers consult with practicing principals and teachers. Practicing educators can tell them what data they need, and what they need these systems to do. Repeat the mantra: “The quality of a school is never measured by the number of computers in the building.” It is not a badge of honor for a school to have 10 computers per student, especially if those computers sit in carts untouched or on desktops gathering dust. In the end, a boast that our schools have 1:1 means very little if business is as usual in the classrooms. The time has come for school leaders to stop talking about computer-to-student ratios and focus instead on what is much more important: teaching and learning. Our relentless pursuit for some magical formula that will suddenly transform our schools is a fruitless quest. There are no magical formulas or tools, and there are no heroes who will ride into our schools and school districts and suddenly save the day and turn our schools into magical places of learning and engagement. If transformation is to happen, we need to stop pursuing 1:1 initiatives, new standards, new tests, next generation tests, longer school days, and the other latest and greatest educational gimmicks and get down to the real reasons why we can’t change our schools. Authors Bain and Weston offer some good advice: look to the mindsets of the educators in our schools and districts. That's where the real obstacles lie. If you really want to know why all that technology sits idle, it's probably because it does not fit the way your teachers teach and the way they have been teaching for the past 100 years or so. Too much of that teaching is still teachers talking, students sitting and listening. In these classrooms, some teachers determine that if the technology won't help them do school like they have been doing it, then they don’t need it. They don’t see the need to change how they are teaching, even though half their class stares up at them in glazed-eye stupor. If we really want to transform teaching and learning in our schools and classrooms, perhaps we need to pause from all the technology buying, installing, and training and focus on the “mindsets” that our teachers and administrators have. We need to stop “automating the 20th century ways of teaching and learning” and pursue whole new ways of teaching and learning. In his book, lol...OMG! What Every Student Needs to Know about Online Reputation Management, Digital Citizenship and Cyberbullying, Matt Ivester repeatedly cautions high school students that “What we do in the digital world often lasts forever,” and that they need to take whatever actions necessary to engage in “Active Reputation Management.” That "Active Reputation Management" includes both proactive measures students can use to keep from sharing content harmful to their reputations, and it also includes measures that students can use to "sanitize" or clean-up damaging content already posted. While it is true that once something is shared online, it is probably permanent, that does not mean students can't make an effort to sanitize their shared content that could give college admissions officers and future employers the wrong impression. In doing that, Ivester offers students some sound advice. That advice is: Begin today cleaning up all the online accounts and services where you have shared and created content, starting with your Facebook account. 1. Review your profile information. Remove anything that might reflect on you in a negative way with future employers and college admission officers. View the information from the perspective of a potential employer or college admissions officer. Or, as Ivester suggests, have a trusted teacher or another adult review the content. Information shared in a social media profile can create an impression of you that you don't want others to have just as much as the content you have shared. 2. Examine all the pages that you have liked, and disassociate yourself from those that might reflect on you personally in a negative manner. For example, if you have "liked" a page that reflects values or beliefs that are discriminatory, someone looking at that might view you as having that same inclination. The pages we "like" on Facebook communicate a message about us as much as the content we share. 3. Examine all other pages associated with your account and remove those associations or pages that reflect on you negatively or have the potential to give improper perceptions. Careful examination of any additional pages you have created in Facebook is a must. Make sure that none of those reflect values that give visitors to your page the wrong impression about you as a person. 4. Review all your photos and videos. Purge those that might be misunderstood or reflect on you in a negative manner. For example, many young people post pictures of themselves having fun at a party or at the beach. If in one of the photos or videos they are acting foolishly or holding an alcohol product, a potential employer or college admissions officer might get the wrong impression. 5. Go back and review your timeline from the start. Remove any posts that can be misunderstood or reflects on you in a negative manner. This is important. Everyone should go back and review their Facebook timeline from time to time, and do so with a critical eye. While we like to think what we share there is only seen by our "friends," we know that once posted, it can be shared with others we don't know. In that manner, a comment we made 3 years ago might come back to haunt us with a future employer or college admissions officer. As Ivester suggests, active reputation management involves reviewing the content created and viewing that content from the perspective of others. 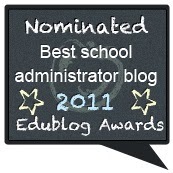 As 21st century educators we can and should teach students how to manage their online reputations. With these five steps, students can begin the process by sanitizing their Facebook accounts, and in turn begin the process of repairing their online reputations. 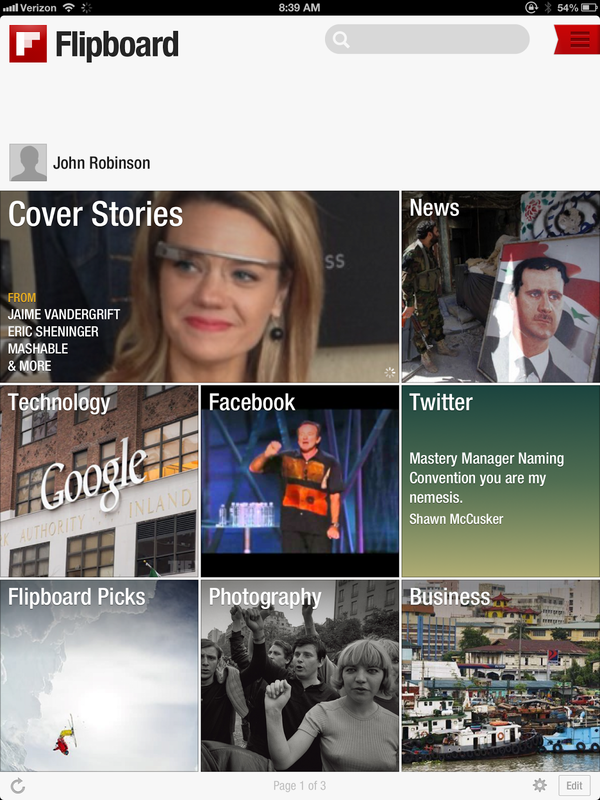 Then, these same five steps can be repeated for all personal content sharing sites too. This is one way to ensure that their youthful indiscretions do not negatively impact their futures. On a side note, Matt Ivester's book is an excellent resource for high school students. Using real examples, he takes students through all the ways sharing content can cause consequences they would rather avoid. Then, he gives them strategies they can use to both proactively and actively manage their online reputations and lives. This book might make an excellent graduation gift.